I've been on the road with my 2016 Travels for 3 months and my Prius has been asking to have its oil changed (15,000+ miles) since Moab, UT. 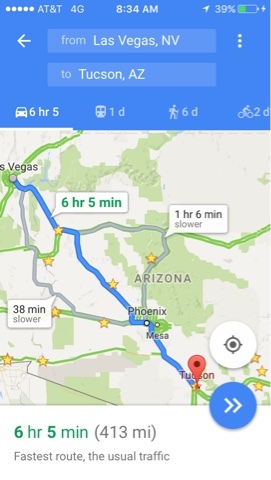 I had thought about going to one of the two Toyota dealers in Tucson for service, but when I was departing Las Vegas I decided to stop in Henderson, NV at the Toyota dealer there. 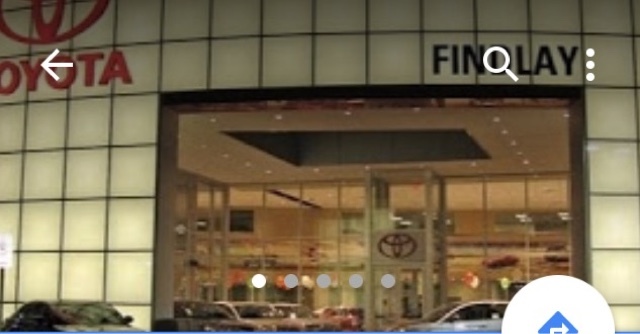 Findlay Toyota treated me well just driving in to their service bay at 7:30 am without an appointment. They recommend extras but I will deal with all the service suggestions when I get home. They always write on my slip about my aftermarket WeatherTec floor mats ever since the floormat incident affected stopping the car came out. I have to say that the the WeatherTec floor liners I have in the front and back are wonderful. They catch the dirt on my shoes and collect my spills. When you live in a vehicle you will need something. I was out of the service department about 9:00 and I started heading down the road to Tucson, AZ for the night. I arrived late in the day and I needed to get some groceries and some supplies but doing laundry took president so I went to the laundromat I usually go to and when done go to Walmart for items I needed to get me to the southeast states where I will stay for awhile and visit friends and relatives. It was a long day of driving so I got gas in the Prius for an early departure in the am. Oh, dinner was fried chicken I picked up from Walmart. It was late in the day when I got to Walmart and the staff was cleaning the deli for the day and to get rid of their prepared foods they offered them at half price. I took the chicken fingers (more than I needed) for less than $2.00. I think she gave me an extra discount.